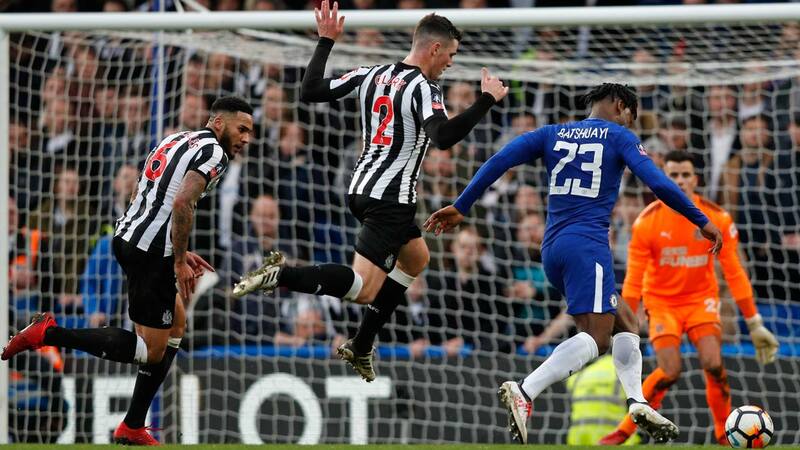 Michy Batshuayi scored twice as Chelsea beat Premier League rivals Newcastle United 3-0 to advance into the fifth round of the FA Cup at Stamford Bridge on Sunday. Batshuayi’s goals in the 31st and 44th minutes and a Marcos Alonso free-kick 18 minutes from time were enough for Premier League champions Chelsea to see off Rafael Benitez’s struggling side. The Belgian’s striker’s first was the result of a neat team move, Pedro’s superb through ball splitting the Newcastle defence and leading to Eden Hazard slipping a pass inside to Marcos Alonso. Spaniard Alonso toed the ball first-time to Batshuayi, who made no mistake with a simple finish from eight yards out. 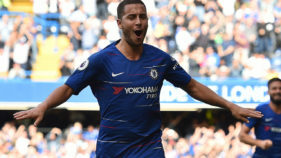 The Belgian forward scored his and Chelsea’s second goal shortly before half-time when Pedro again initiated an attacking move, his pass releasing Hazard to run at a struggling defence. Batshuayi, up in support, looked set to run across his man but instead moved away, creating the space for Hazard to play him in before his shot took a huge deflection off Newcastle’s Jamaal Lascelles and looped over goalkeeper Karl Darlow. 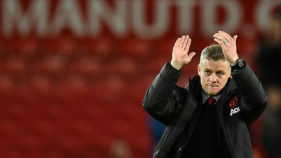 Any lingering doubt about the result was settled in the 72nd minute when Alonso whipped a left-footed free-kick over the defensive wall to make it 3-0. Sunday’s other FA Cup tie sees runaway Premier League leaders Manchester City continue their quest for an unprecedented season quadruple of league, FA Cup, Champions League and League Cup titles away to second-tier Cardiff.